In recognition of Veteran’s Day this week, here is an overview of federal student loan benefits for military service members and vets. Please keep in mind that the benefits outlined below apply only to federal student loans. Whether private student loans have similar benefits will depend on the individual lender. Military Service Deferment and Forbearance. If you remember, deferments and forbearance allow student loan borrowers to postpone payments on their student loans under certain circumstances. For federal student loans, there is a special deferment option for service members on active duty during a war or military operation. The borrower may request this deferment directly, or can have a representative do it on their behalf. Unlike most other deferments, there is no time limit on active military deferments, as long as the borrower is on active duty. In addition, there is a “post-active duty” forbearance available for borrowers returning from active duty if they were enrolled in school at the time that they were called. These borrowers may continue to postpone their payments for up to 13 months. Income-Based Repayment (“IBR”). Military service members and civilian employees, regardless of their duty status, should be eligible for IBR, which caps payments at a percentage of income, regardless of the total amount of federal student loan debt. Read more on IBR. Loan Forgiveness and Cancellation. The federal government offers loan forgiveness to borrowers of Direct federal loans on standard or income-sensitive repayment plans (including IBR) after 10 years of payments, if they work in public service. Since the military is part of the U.S. government, any employee (a service member regardless of duty status, and any civilian employee of the armed forces) should be eligible for this loan forgiveness program. Read more on public service loan forgiveness. In addition, Federal Perkins loans can be canceled following certain types of military service; read more on Perkins loans. Post 9/11 GI Bill. This bill provides for financial support to returning active duty military service personnel who go back to school. In order to qualify, students must be pursuing an approved program of education as defined in the law. Monetary benefits can include tuition (although it cannot exceed the maximum tuition for in-state undergraduate students in the state where the student is enrolled), as well as room/board, books, and supplies. In certain situations, these benefits may be transferred to the service member’s spouse and one or more children. Benefits vary depending on the length of the service member’s time in active duty, with a minimum of 90 days required for partial benefits. There is a little-known discharge (cancellation) option for federal student loan borrowers who are victims, or relatives of victims, of the September 11th terrorist attacks. This is a remarkable discharge in that it is the only discharge option available to borrowers because of a single historical event. (There is a natural disaster-based forbearance option for federal student loan borrowers, but that just postpones your payments, as opposed to canceling the entire loan balance.) Moreover, very few people know about this discharge option. You must be either a direct victim or first responder of the September 11th terrorist attacks, or be a spouse or parent of a victim. Eligible loans include Perkins loans, FFEL loans, and Direct Loans, including Parent PLUS loans. The loan balance must have been owed on September 11, 2001 (meaning the discharge won’t apply to, for instance, a relative of a victim who obtained a federal loan sometime in 2002). If you know of anyone who might be eligible, spread the word, as this is probably the least-known discharge option for federal student loan borrowers. Two websites recently ranked the best cities for recent grads. This is, of course, an informal and unscientific ranking, but important factors include the city’s young adult population, the number of entry-level or low-experience jobs that were available, and the average rent of a one-bedroom apartment. See what cities are on the list here:http://www.huffingtonpost.com/2011/09/12/the-10-best-cities-for-re_n_958178.html (and yes, Boston is on there). If you have many separate student loans, keeping track of your monthly payments can be daunting. This task is made even more burdensome if you have federal loans that are serviced by multiple loan servicing companies, Perkins loans that are serviced by your college or graduate school, and private student loans from multiple lenders. When you have rent or a mortgage, utilities, car payments, cell phone payments, and other bills to manage on top of everything else, it’s easy to miss a student loan payment. 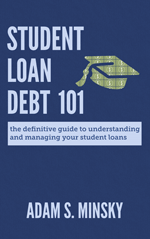 The problem is that missing a payment on any of your student loans can place that loan into delinquency. Delinquency is a fancy term that simply means you are behind on your payments. The problems is that certain loan servicers and lenders report delinquencies rather quickly to credit reporting agencies, which could damage your credit score. If you are delinquent for too long, your loan may be placed into default, which is bad news. While federal loans generally provide for several months of delinquency before a loan goes into default, some private student loan lenders are not nearly so accommodating, and your loan may be in danger of default sooner than you think. One solution for dealing with this threat is to consolidate your federal student loans, since this can simplify the repayment process. Another easy solution is to enroll in auto-debit programs. 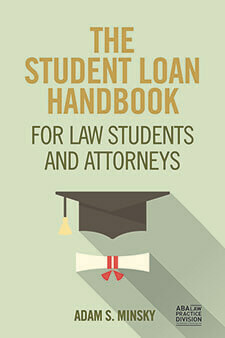 Most student loan servicers offer this both for federal and private loans. An auto-debit program allows you to permit the lender/servicer to automatically debit your bank account or debit card for your monthly student loan payments. That way, you don’t have to worry about keeping track of every single student loan payment every month. Your only responsibility is to manage your budget so that you have enough funds available to cover all of your payments. You usually can set the date of the auto-debit, so you can choose to have all of your payments made on one single day each month, or you can split your payments up during the month if that’s easier for you. As far as I know, you can cancel any auto-debit program at any time, although there might be a period before the cancellation takes effect. I’m enrolled in auto-debit programs for all of my student loans, and I find that it has made managing my repayment obligations much easier. It might be a little unnerving to not physically write that check or click that “pay now” button every month, but at least I don’t have to worry about missing a payment. I’d check it out if you haven’t already. We saw it with housing just a few years ago. Young, first-time, would-be homeowners were told how easy it would be to get an affordable mortgage. With aggressive marketing campaigns by mortgage companies that ramped up expectations of home ownership (without any discussion of potential risk), young people were persuaded to buy that house and get that mortgage, even though down the road they may not be able to pay. These mortgage companies then sold the high-risk mortgages to other companies, so everyone profited… until, of course, the homeowners reach a point where they no longer could pay (whether it was because of an adjustable interest rate that spiked, rising unemployment, or unexpected maintenance and expenses), and the whole bubble collapsed. I’ve been saying for years that student loans are next. I don’t want to be right (I’ve got my own student loans that I’m dealing with), but now Moody’s, one of the three major credit ratings agencies, is acknowledging that we might be headed in that direction. For the past twenty years, the cost of American higher education (both private and public) has been skyrocketing. Federal financial aid has not been keeping pace with these astronomical costs, so increasingly students are turning to expensive and risky private student loans to finance their educations. High school students and parents are told that this is an “investment;” that taking out tens of thousands of dollars in student loans will lead to a high-paying job, and it can all be paid off. But with a stagnant, sluggish economy and high-paying entry-level positions drying up, students are finding themselves with a fancy degree, lots of student debt, and no viable way of paying it all off. Youth unemployment is at a jaw-dropping 15%, and with recent deficit reduction legislation passed by Congress and signed by the President, borrowing will be even more expensive for students due to the elimination of subsidized federal loan programs. …In theory, at least. The problem is that the U.S. Department of Education is a massive bureaucracy. The loan consolidation application is a confusing mess. There are many different types of federal student loans; some can be consolidated, some cannot be consolidated, and some can only be consolidated under certain circumstances. Customer service representatives have been known to be unhelpful and rude, and in some situations, they have been providing misinformation. Department employees also make frequent mistakes. 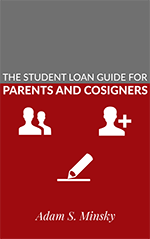 For example, they sometimes leave certain loans out of the consolidation that should have been included (this actually happened to me), which means you have to be vigilant about tracking which loans are included and which loans, if any, were accidentally left out; you’ll then have to fill out another application to get those forgotten loans added back to the consolidation loan later. Mistakes like these can cost you, since you still have to make your payments while the loans are being consolidated– even if the Department messes up. The loan consolidation process is tedious and confusing at best, and at its worst it can be so defective that it actually impacts you financially. This is why it can be very beneficial to seek out a professional who is familiar with the consolidation process and the Department’s bureaucracy. To read more about defective loan consolidation (and some rather nightmarish stories), click here: http://www.huffingtonpost.com/. Heather Jarvis is an excellent advocate for student loan borrowers and is doing some great work. For years, she has dedicated herself to helping students and graduates make informed decisions about their student loans. As Senior Program Manager for Advocacy and Outreach at Equal Justice Works, Heather played a role in the passage of the College Cost Reduction and Access Act, which made IBR and Public Service Loan Forgivenessa reality. When student borrowers fail to pay their student loan bills for any reason, lenders will try to get them to pay. The longer the borrower doesn’t pay, the harder the lender will try. Sometimes, the lender will hire a collections agency to pursue a student borrower who is in delinquency or default, and often these agencies will use aggressive, intimidating, deceptive, or irritating tactics. Borrowers who have been the subject of FDCPA violations can bring suit against the collections agency in federal court and collect damages. Often, these suits will settle before trial. If you are being aggressively pursued by a collections agency, you should keep careful, detailed records of all communications. If you’ve got student loans, chances are at some point during the repayment period you’re going to have difficulty making your payments. Given today’s still-sluggish economy, you may have trouble making your payments shortly after you graduate from college or grad school. Don’t panic– you may have options. The worst thing you can do is do nothing. If you don’t make your payments, your loans can become delinquent or even defaulted. That has serious consequences (which I’ll be discussing in a subsequent post). It’s May. It’s Spring. The weather is warm. Summer is near. And millions of students are graduating from college and grad school. Most have at least some student loans. This is certainly an exciting time, but don’t let your student loan obligations surprise you in a few months. There are important things you need to know now so that you are prepared to manage your debt burden in the months ahead.